The honeymoon continues for Pope Francis and the press. Coverage of the pope's trip to Israel and the Palestinian territories was rather good. Save for a brief flutter over what language Jesus spoke, the press coverage was sympathetic, balanced and thoughtful, and in marked contrast to the treatment afforded Benedict when he traveled to Germany or England or Mexico. Yet the visit to Israel and the Palestinian territories also highlighted the shortcomings of the craft of journalism -- shortcomings not in the form of errors or omissions, but unexamined assumptions. When should a reporter stop and ask himself if he is repeating the conventional wisdom -- taking on trust that something is a fact, when it is an opinion? A BBC story on Francis and the Middle East entitled "Pope Francis cements reputation for deft diplomacy" repeats the now rather tired conventional wisdom of the good Francis / bad Benedict. While the two popes have very different styles, I do not believe there are facts that would substantiate the good/bad claims. Benedict has had a tough time of it from the start. While the German press lauded his election, the first German pope in 1000 years, the secular press in Europe seems to have taken against him from the start. There was no honeymoon for Benedict from The Economist in 2005, which saw him as "an unsurprising choice." And "to many, he will inevitably be a disappointing one." Critics have attacked not just his tough conservative stance - speculating that it may alienate churchgoers of the 21st Century who prefer a more flexible doctrine - but also wonder whether the 78-year-old is charismatic enough to engender much affection. done something remarkable: he has not changed the words, but he’s changed the music. focus on compassion, along with a general aura of merriment not always associated with princes of the church, has made Francis something of a rock star. 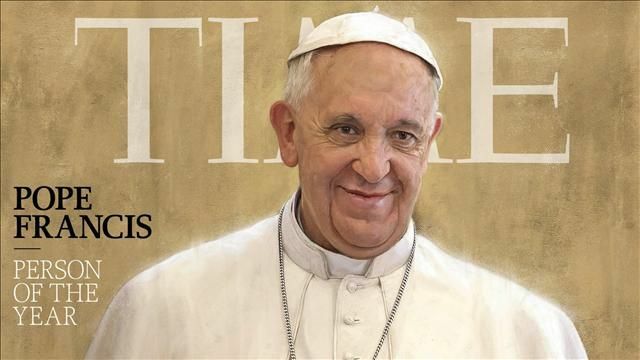 The Guardian's Jonathan Freedland stated: “Francis could replace Obama as the pin-up on every liberal and leftist wall.” These perceptions continue to color papal reporting. If I were on the staff of the Vatican press office, I would be overjoyed that my man was receiving the star treatment, but should affection for one be used to denigrate another? In its report on the Israel trip the BBC's "Vatican expert" included this line. Pope Francis has shown greater diplomatic skill than his predecessor, Pope Benedict, during his Holy Land visit in 2009. But personal kindness does not define the work or ministry of the vicar of Rome. "Pope Francis’ impatience with Jewish particularism roils below an amicable surface," wrote Goldman (who is also editor of the journal First Things). The two popes are quite different, he added, but the difference is more than style. Benedict made no attempt to insert himself into the Israeli-Palestinian conflict because he understood his role as spiritual; Francis, by contrast, has declared the plight of the Palestinians “unacceptable” and has inserted himself into a political process. Bergoglio staged a political theater when nothing more is stake than his own salvific ambitions. Benedict XVI offered a public critique of Islam’s propensity for unreason and violence; Francis offered a public embrace of his “dear brother” Sheikh Muhammed Hussein, the Mufti of Jerusalem, who has earned international condemnation for advocating the extermination of the Jews. For Pope Francis, the Palestinian problem is “unacceptable” because it represents the failure of the world to elevate a people perceived to be downtrodden and oppressed: it is important for its symbolic value rather than its factual content. Assertions are tricky things. A reporter may believe something is self-evident, but facts, not conventional wisdom, is the test of truth. Older PostSeeking the shooter's motive at Seattle Pacific University?